Hi! 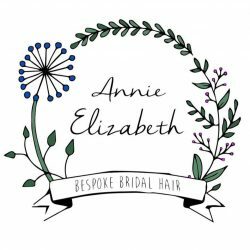 I’m Annie and I’m a freelance Bridal & Occasion Hairstylist covering North Wales & Cheshire. In the week I work as a Senior Stylist at Holben Hairdressing in Llangollen, specialising in cutting & styling services, this is also where I do all of the pre-wedding hair trials. I also love to do session styling and getting involved in creative projects with other artists. My work has been featured on popular wedding blogs such as Rock My Wedding and Love My Dress. So please, have a look through my work on my website or see the latest action on Facebook and Instagram and feel free to contact me for any of the above services. If you like what you see, you can send me a e-mail to annieeelizabethbbh@hotmail.co.uk, get in touch via Facebook or call/text me on 07535645722.